The meeting will be held at the Humboldt County Agriculture Center, (5630 So Broadway in Eureka, CA)…. Bee Fest! May 4th, at the Adorni Center. 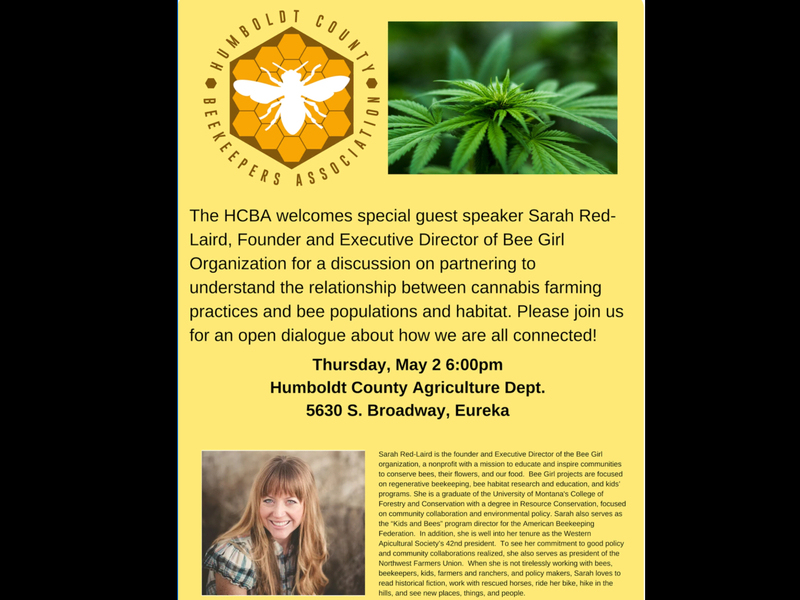 At the May General Meeting: The HCBA welcomes special guest speaker Sarah Red-Laird, Founder and Executive Director of Bee Girl Organization for a discussion on partnering to understand the relationship between cannabis farming practices and bee populations and habitat. Please join us for an open dialogue about how we are all connected! 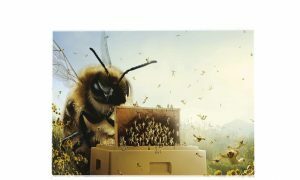 Later this year, a very special guest, Dr. Tom Seeley, author of Honeybee Democracy and Following Wild Bees. 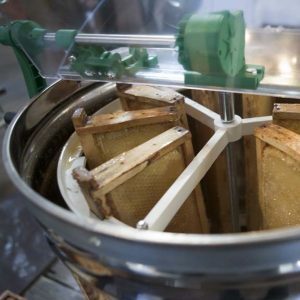 If you would like to borrow an extractor, please contact HCBA Email: humboldtbeekeepers@gmail.com. (There is a $5 donation to use the HCBA extractor).